One of my recent clients is leading multifamily property marketing firm RentPath. I managed several campaign projects including copywriting and Marketo production of party invitation emails, social media messages, and landing pages targeting NAA Apartmentalize 2018 attendees. The result? Incredible party turnout, thrilled guests, and the talk of the conference. 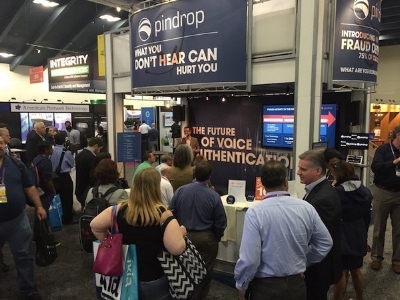 As Senior Marketing Manager, I had the privilege of managing information security provider Pindrop and their presence at RSA Conference 2016. As Pindrop considers RSA Conference its signature annual event for exhibition, producing and managing the company booth was a lot of hard work yet also a lot of fun. I created the staff manual below to help guide nearly 2 dozen employees attending and/or manning the booth during exhibit hours. The result? A large turnout of qualified leads and verbal kudos from the CEO during the company's monthly meeting. My experience working with a GPS-based vehicle fleet tracking and management SaaS platform provided me knowledge and insight into how prospective customers unfamiliar with such technology viewed this product. MotionLink (now defunct) commissioned me to write document copy for "More Than Dots On A Map" which also served as their marketing campaign theme. Someone else designed the graphics - I never claimed to be an illustrator! - but the final result was a document that MotionLink sales executives could feel good about distributing to potential customers in print and digital formats. My employers and clients tend to be Atlanta-based and in the information technology industry, though also offshoot into information security, telematics, Entrepreneur Franchise 500 businesses, and non-profit organizations. I am proud of my marketing accomplishments. My singular strategy and data experience contributes to how I communicate messages to targeted audiences, whether the executive suite or potential customers or those unfamiliar with data science concepts. More marketing and communications projects which I had significant involvement in producing are available upon request.